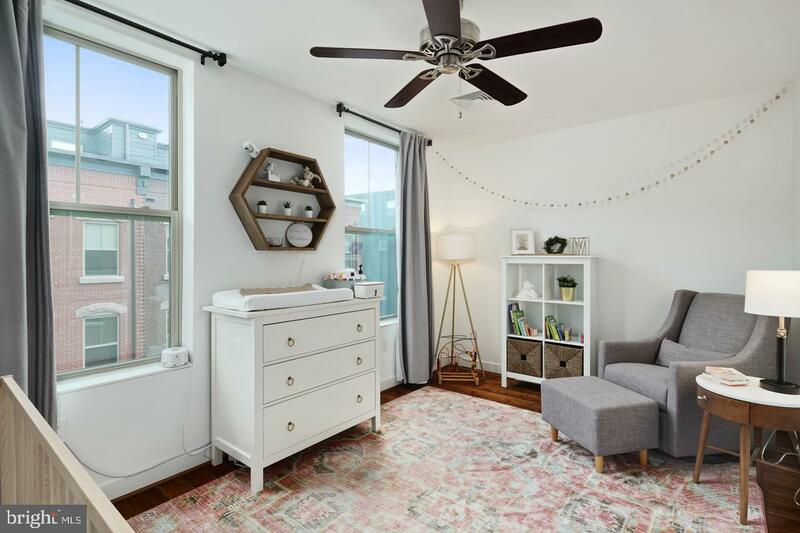 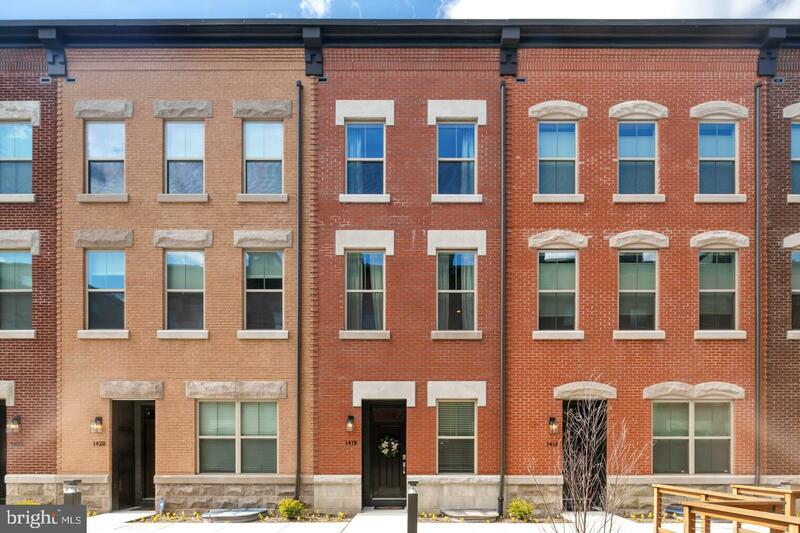 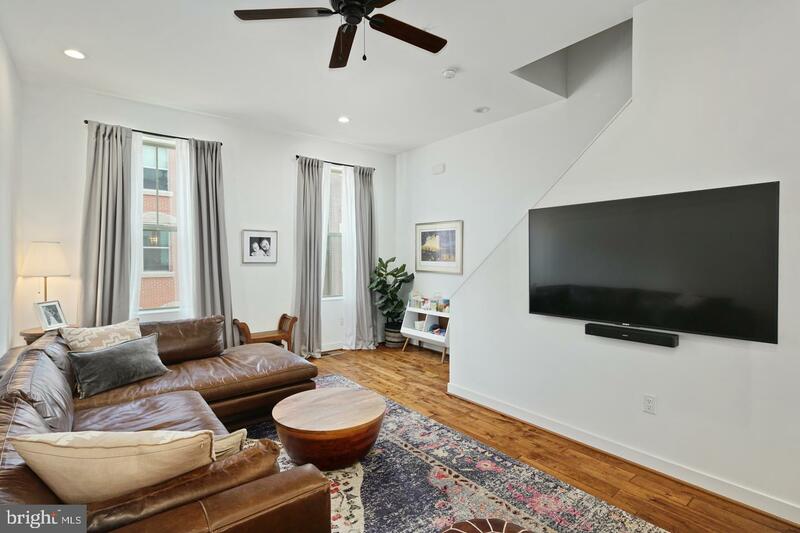 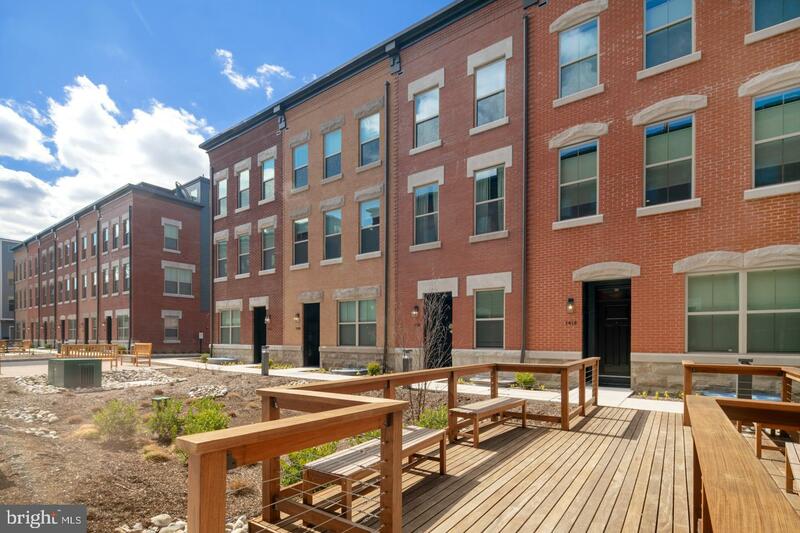 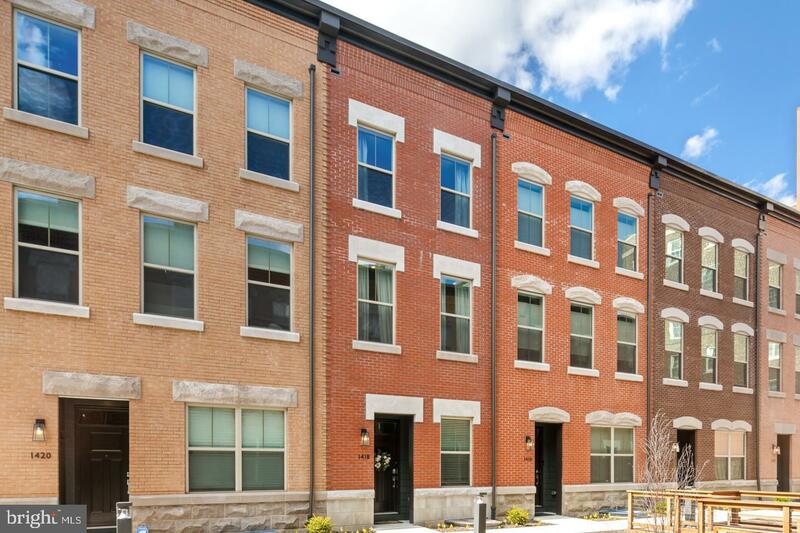 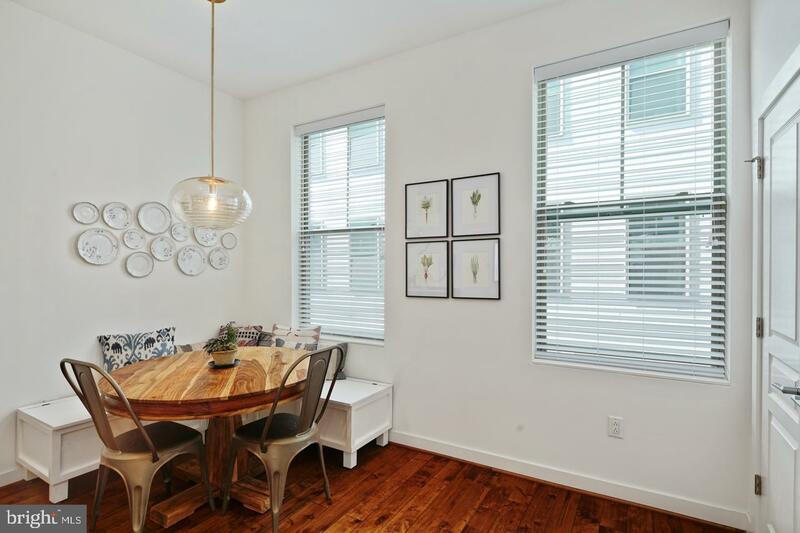 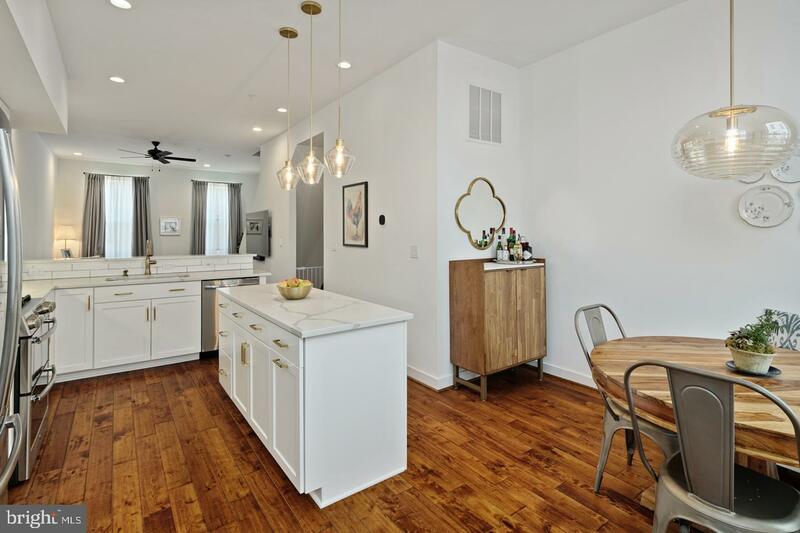 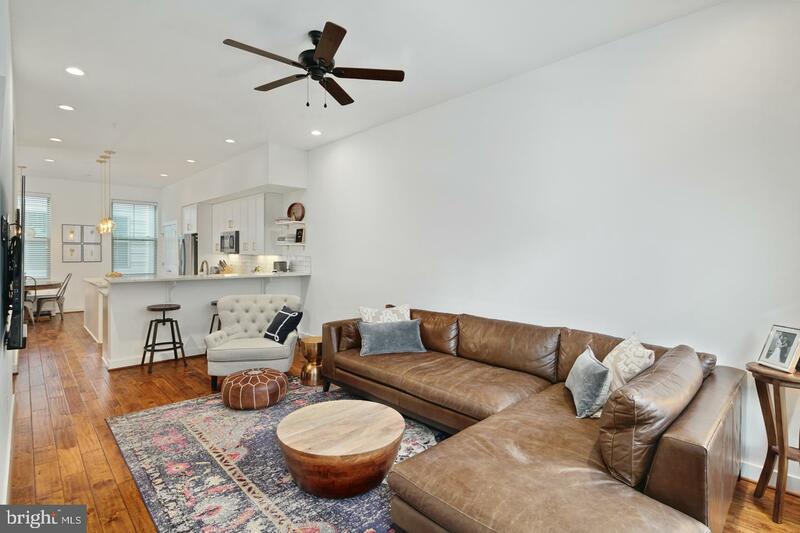 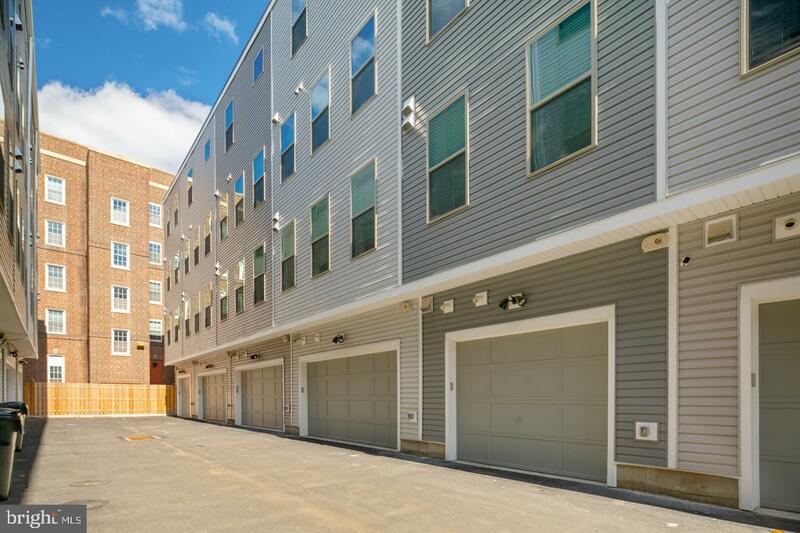 Fall in love with this impeccable, 1 year young, 3 bedroom, 2 full bath, 2 half bath home highlighted by a 1-car garage, rooftop deck and finished basement! 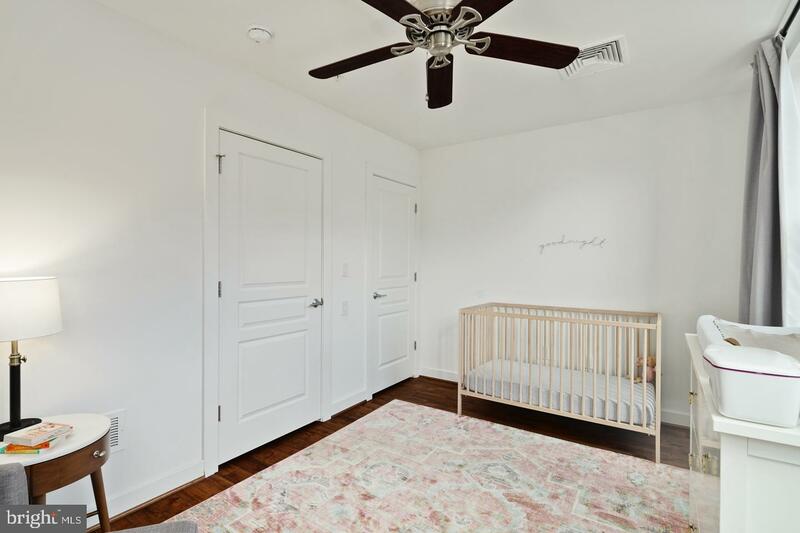 More features include beautiful hardwood floors, high ceilings and approx 9 year left on 10 year tax abatement, all located in the heart of Pennsport/Dickinson Narrows. 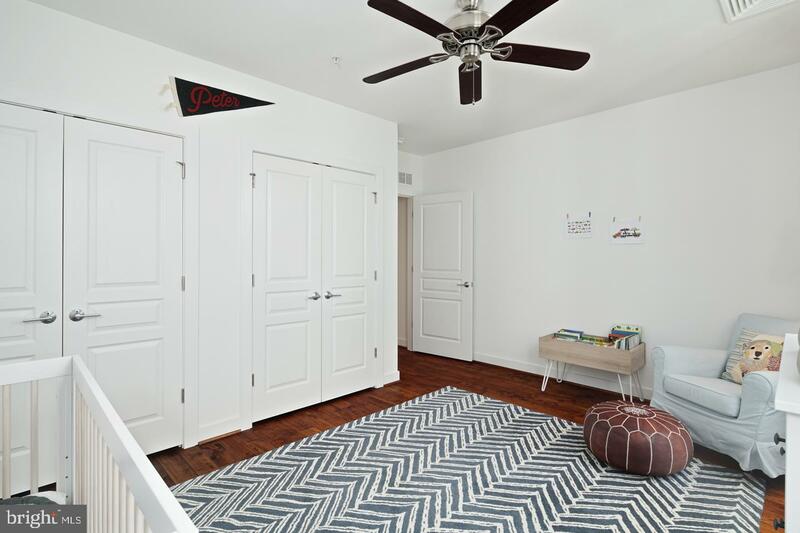 The first floor offers a wide open sitting area, coat closet, half bath and door to the garage. 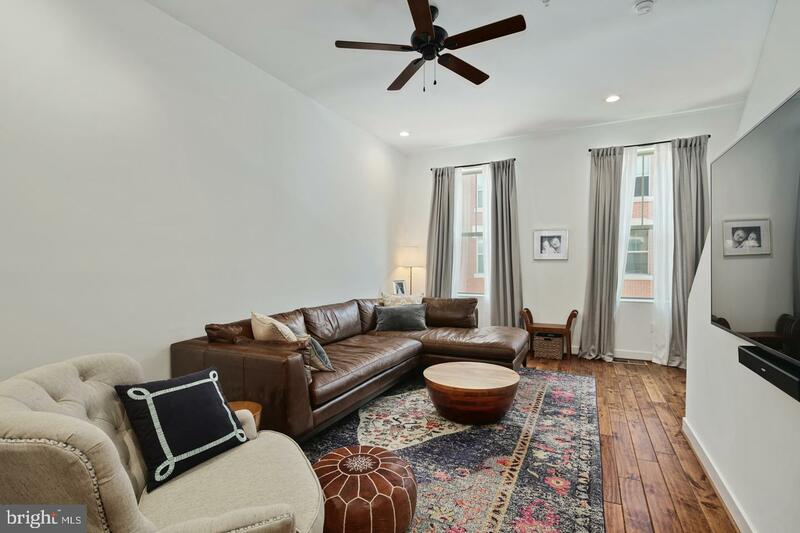 The main living space is located on the second floor, complete with soaring ceilings, hardwood flooring and a powder room. 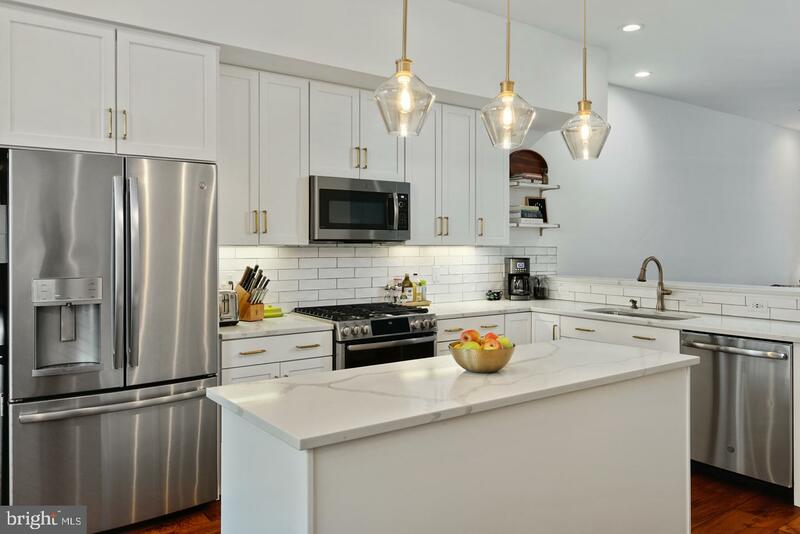 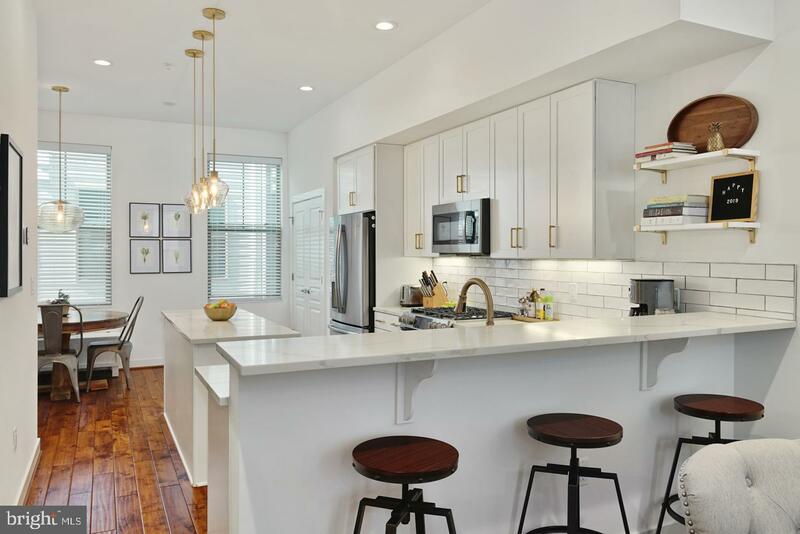 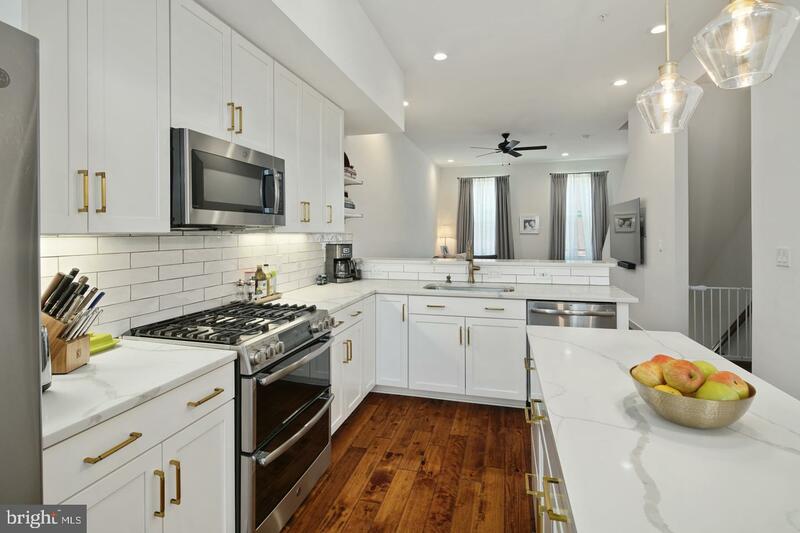 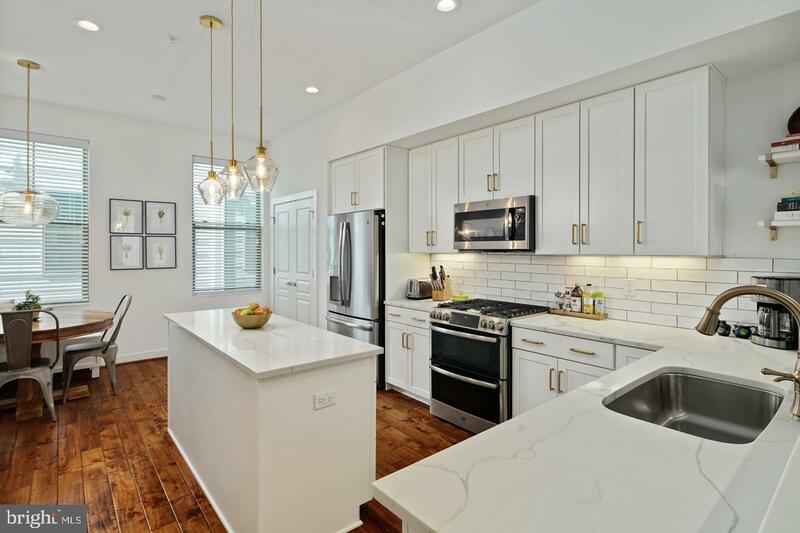 The immaculate eat-in kitchen is dressed in quartz countertops, white shaker cabinetry, white subway tile backsplash, GE Profile stainless steel appliances, island and bar counter, large pantry and custom bench seating. 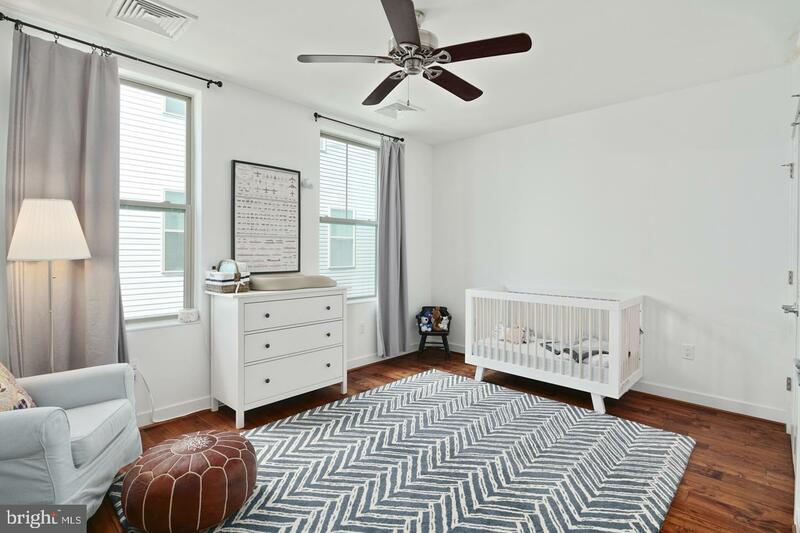 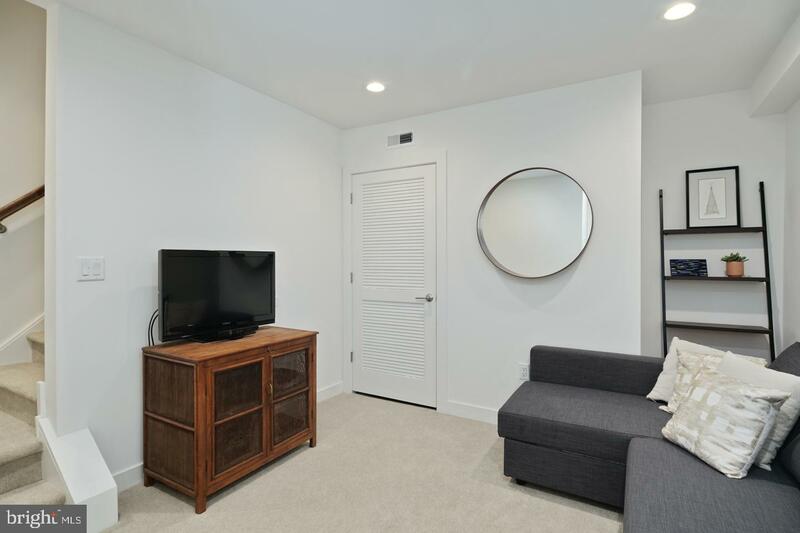 The third floor features 2 spacious bedrooms with large closets and great light, plus a tile bath and laundry room off the hall. 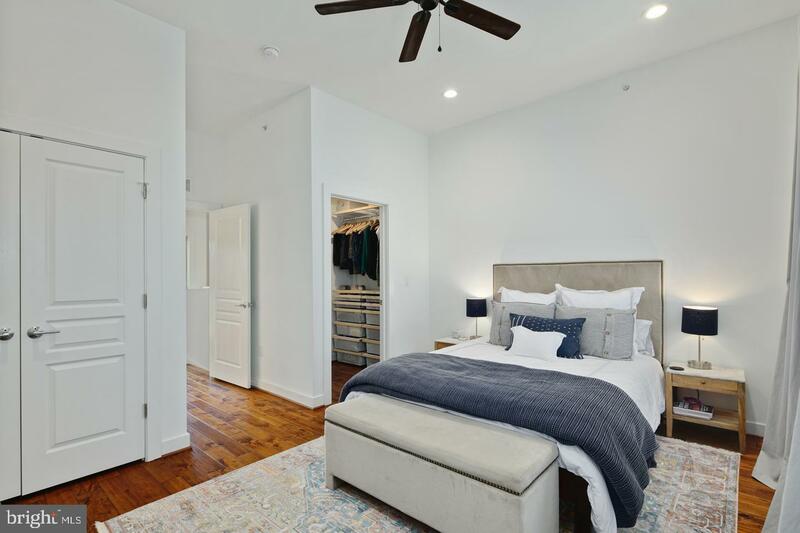 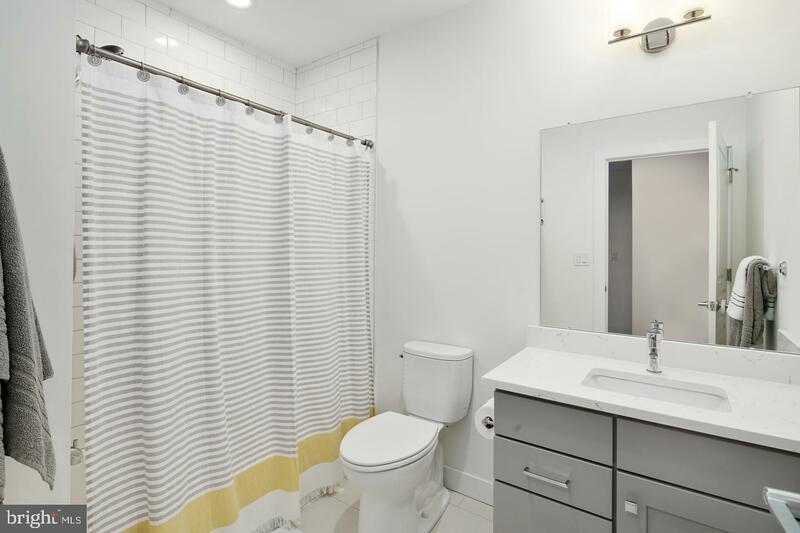 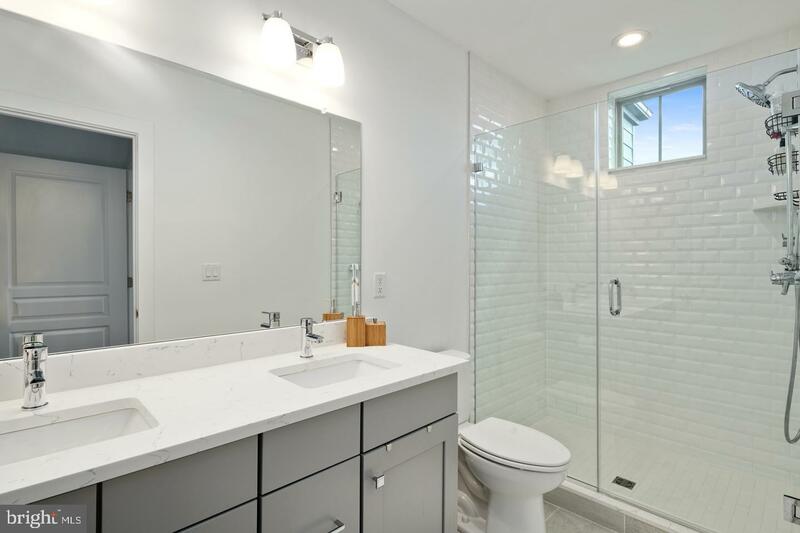 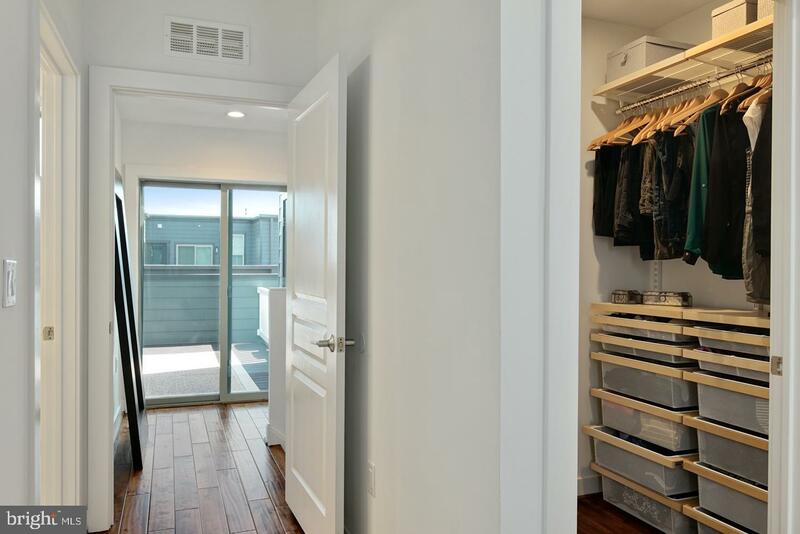 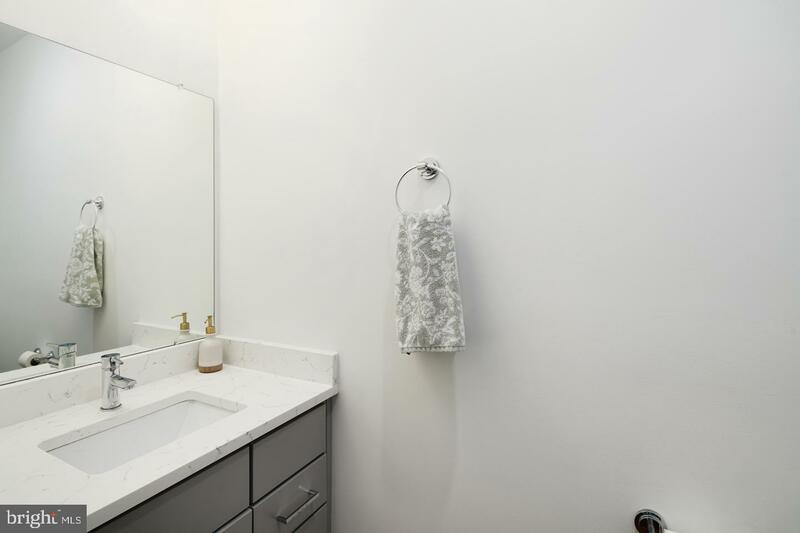 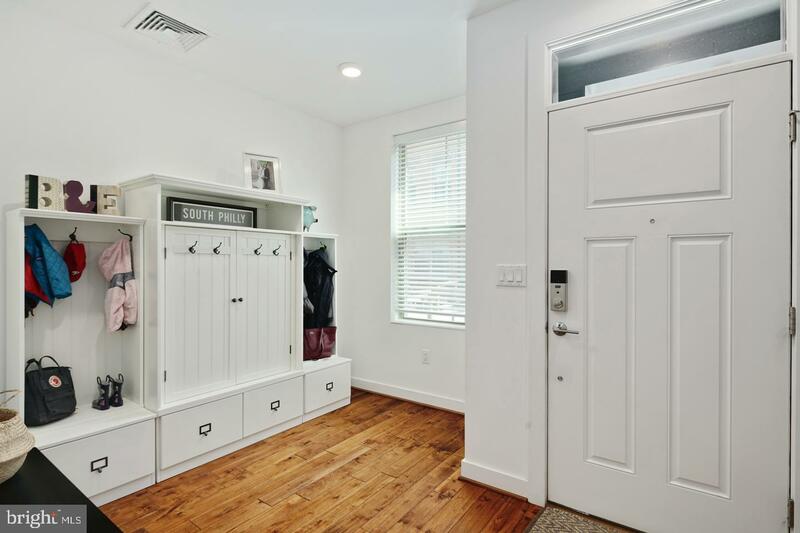 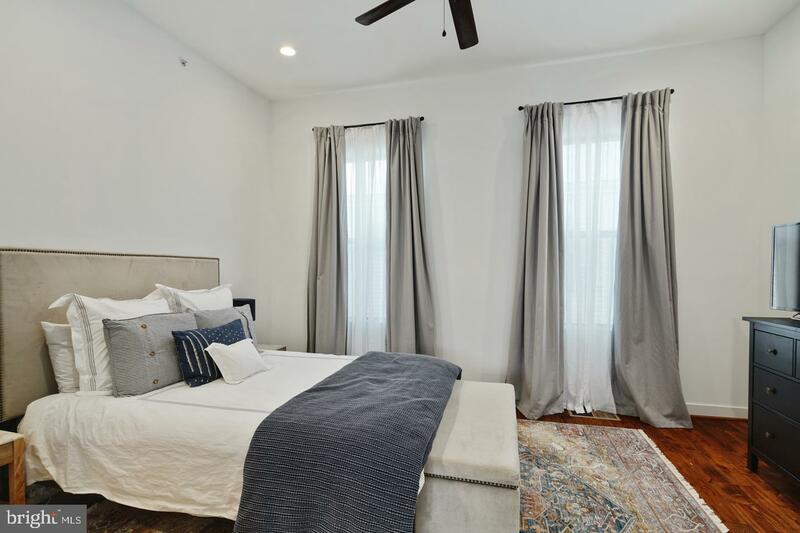 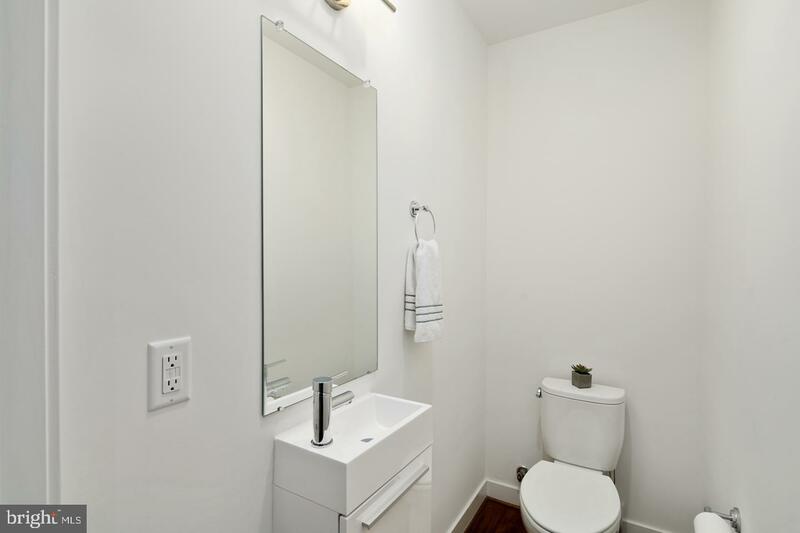 The fourth floor is the main bedroom suite, which offers a walk-in closet, double closet and an en-suite bath with dual vanities and tile shower with rainfall showerhead. 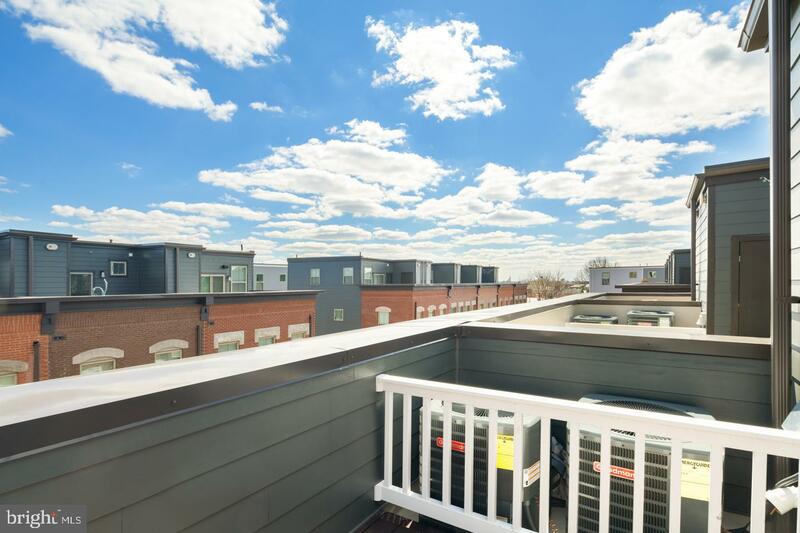 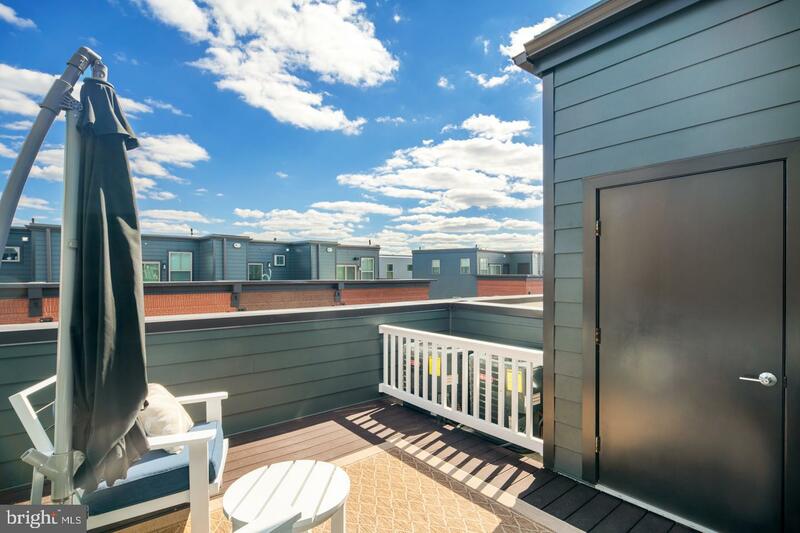 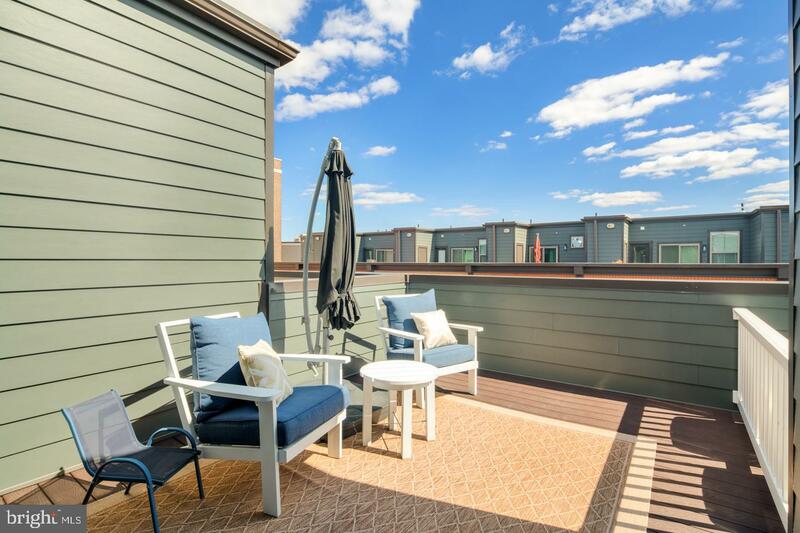 Step out onto the rooftop deck with high end trek decking and city views! 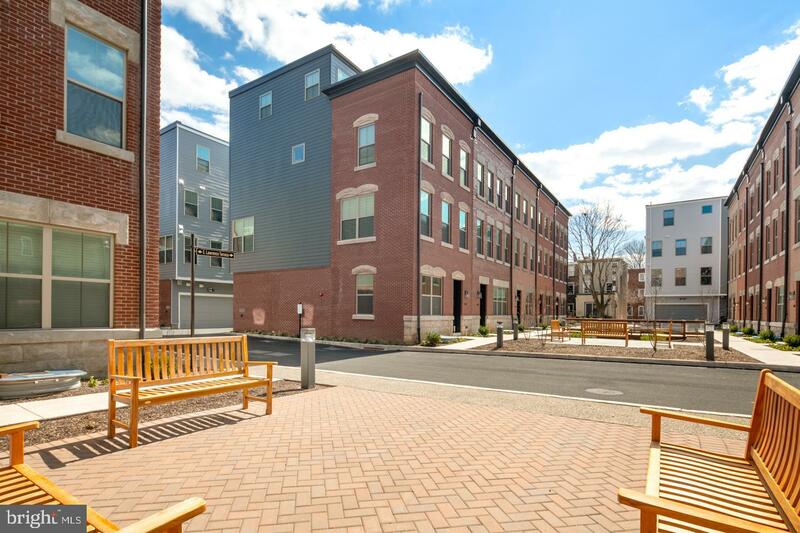 This home is part of Southwark on Reed, a new 92 home development nestled in a courtyard setting, super walkable to all the neighborhood hot spots (Pennsport Beer Boutique, the Dutch, Moonshine, Jefferson & Dickinson Square parks, Grindcore, Hermans, Federal Donuts) plus Queen Village and Passyunk Ave.